JEECUP 2019 Admit Card is releasing soon. It is a state level entrance test conducted by the Joint Entrance Examination Council, Uttar Pradesh. 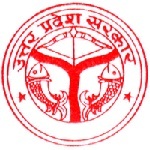 This exam is also known as UPJEE (Uttar Pradesh Joint Entrance Examination). UP Polytechnic 2019 exam is conducted for providing admission in engineering, technology, pharmacy and other diploma courses. Various polytechnic institutions affiliated to Board of Technical Education, U.P consider the JEECUP scores to offer admission in polytechnic courses. Here we are providing details about JEECUP 2019 (UP Polytechnic) including application form, dates, eligibility, pattern, syllabus, etc. JEECUP 2019 Admit Card is releasing soon. Check here for admit card details. JEECUP 2019 Exam Date has been revised. Now, it will be conducted on 26th May 2019.Check here for exam date details. JEECUP admit card 2019 will be available through online mode only. In case of any discrepancy in the admit card, immediately contact to the council. At the exam centre, candidates have to carry their admit card along with one photo identity proof. Candidates must preserve their admit card till the admission process. Type of Questions: There will be objective type questions asked in the exam. Number of Questions: Total 100 questions will be asked. Session: The exam will be conducted in two shifts, i.e. Morning (9:00 AM – 12:00 PM) and Afternoon (2:30 PM – 5:30 PM). Medium: The questions paper will be printed in both Hindi and English language. Subjects: It will be different as per the courses opted by students. Answer Mode: Students must use blue or black ball point pen to mark their answers. Marking Scheme: Four marks will be awarded for each correct answer. Negative Marking: One mark will be deducted for wrong answers and multiple answers. The syllabus will be of 10th or 12th class standard. For engineering, the syllabus will comprise of mathematics, physics and chemistry subjects. For Diploma in Pharmacy, questions will be asked from physics, chemistry and biology/ mathematics subjects. First of all, candidates should find out all the details regarding the officially prescribed syllabus. Prepare a suitable time-table and plan accordingly. Take help from the reference books and previous year question papers. Make short notes on difficult topics and revise them in the end time of preparations. Do meditation and yoga it will help you to concentrate in your studies. JEECUP 2020 will be conducted by the Joint Entrance Examination Council, Uttar Pradesh. It is a state level polytechnic examination of UP state. UPJEE exam is organized to offer admission engineering, technology, pharmacy & other diploma courses. The online application form of JEECUP 2020 will be released in the second week of December 2019. Question: When will be the JEECUP application form 2019 released? Answer: It has been released from 20th December 2018. Question: I am appearing in the 12th examinations. Am I eligible to apply for engineering diploma programme? Question: Is Aadhaar card is mandatory to apply for JEECUP 2019? Answer: Yes, Aadhaar Card is necessary. Question: Which documents are required to upload in the application form? Answer: You have to upload the scanned images of photograph, signature and thumb impression. Question: I have made mistakes in the UP Polytechnic application form 2019. Can I correct it? Answer: The authority will provide the facility to make correction in some of the particulars of the application via online mode from 1st April 2019. Question: What is the syllabus for JEECUP 2019? Answer: The syllabus will vary as per the courses opted by students. You can check the syllabus from the above given section. Answer: Yes, payment can be done through e-challan of SBI bank. The answer key will be released within a week after the examination. Students will be able to check the UP Polytechnic answer key via online mode. The answer key will contain all the correct answers of the questions asked in the JEECUP examination. Through answer key, students can calculate their rough marks. The result of JEECUP 2019 exam will be released via online mode. UP Polytechnic result 2019 will comprise of the actual obtained marks along with the status of those who are eligible to appear for counselling. Candidates have to download their JEECUP score card 2019 by entering their roll number. On the basis of result, students will be able to participate in the counselling process. The counselling process will be organized in different rounds through online mode. Students can participate in the UP Polytechnic counselling as per their performance in the entrance test. Candidates will be able to fill their choices of courses and colleges via online mode. Seats will be allotted to students as per the filled choices, reservation and merit of the entrance exam. Document verification will be done at the time of seat allocation process. Candidates have to bring their original documents along with photocopies. If candidates fails to produce the authentic documents, they will not be considered for admission. Candidates can be permitted to fill only one UP Polytechnic application form 2019 in each shift of exam. Details in the application form should be filled as per the 10th class certificates. Students are required to upload their photograph, signature and left thumb impression. The images should be uploaded in the JPEG format. The correction window has been provided by the authority. Candidates do not send the hard copy of the application to the council. Aadhaar card will be mandatory to fill the application. Candidates have to pay the application fee of Rs. 300/- for general & OBC and Rs. 200/- for SC & ST candidates. Bank charges will also be added. Fee payment can be done through online mode or e-challan of SBI bank. Age Criteria: The candidates age should not be more than 14 years as on 1.07.19. A Engineering & Technology Diploma 10th or equivalent exam passed or appearing with at least 35% marks. B Agriculture Engineering 10th or equivalent exam passed or appearing with agriculture subject in 12th. Minimum 35% marks in the qualifying exam. C Fashion Design, Home science and Textile design and engineering 10th or equivalent exam passed or appearing with at least 35% marks. E1 (Bio)/E2 (Math) Diploma in Pharmacy Pass Intermediate examination with Physics & Chemistry (as a compulsory subject) along with Mathematics/Biology. F Post Graduate Diploma in Biotechnology (Tissue culture) B.Sc passed or appearing with biology, chemistry/biochemistry subjects. G Post Graduate Diploma course Graduation degree in any stream (appearing candidates can also apply). H Diploma in Hotel Management and Catering Technology Pass 12th examination & obtain 35% marks in the examination. I Diploma in Aircraft Maintenance Engineering 12th passed or appeared with science stream. Must have obtained 50% marks in PCM subjects. For any other queries about JEECUP 2019, you may leave your question below in the comment box. The groups will be known to you at the time of releasing of application form. can i apply engi diploma? If you have PCM in 12th class. Good afternoon sir,I m from gomia jharkhand …polythecnic addmission k liye minimum kitna Number lana hoga hmko sir..pls bataiye.. Yes, you can apply. However check the eligibility in the article. Sir Maine iti kar li hai. Aur mai job bhi kar raha hoo. Lekin mughe job ke sath sath polytecnic bhi karna hai. Kaise karu sir aur kaha se karu abhi job noida me kar rha hu. Sir sahi ray deejiye. I have surname mistake of my parents in my iti certificate can I get polytechnic admission in 2019 session?????? May bhi polytechnic karna chahta hu.kon sa group suitable rahata. sir mene 10me 70% aye hai mene 11 me arts li hai kya me poltecnic kr skta hoon? Sir i was completed my 10+2th with commerce from CBSE and also completed my ITI (Trade- Copa)from government iti so which course best for me. Sir I want to apply both I am 12 passed group A & K can I apply for this? polytechnic 2year me admission milega agar milega to kis group se apply karu? Sir, I am currently studying in Class X (CBSE) and I will give board exam in March 2019, should I fill the form and I am from Jharkhand. Sir I am from Jharkhand can I fill the form . Sir, after how many marks the students are passed in this exam. Sir is ke under sirf u.p. ke collages hi aate h yaa delhi ke bhi kisi government college mai addmission mil sakta hai ?? Hello sir mne 12 artside se kiya h mai Polytechnic group c (fashion designing) se krna chahti hu ..kya m kr skti hu. can we can select more than one college in application form? Sir; I am 12 class pass 2018 by PCM. And my question is 10 class aply or 12 class apply. 10 class good or 12 class good apply correct. I am student of class 12th. 76% in class 10.Can I appy polytechnic exam 2019.
sir; mene 2018 me 12 class ki By PCM se, to mujhe 12 Cass se apply karna chahiye ya 10 class se hi. Interior designing course is available or not?? Hello sir aap kaise hai.mujhe aapse jee cup ki jankari chahiye sir mera high school me 71% hai to kya mai apply kar sakata hun.reply sir please. sir I passed to b.sc.in mathematics at allahabad state university.can I jeecup exam attend in 2019,. please give me info. Sir mai 11th class me hu kya me is sall up polytechnic entrenched exam de sakta hu sir kya me 2019 me addmission le sakta hu please sir? Sir mera 12th me 62% hai kiya me foram appaly kar sakata hu or sir ji book kon si sahi rahegi please sir batae ok. ..
For up polytechnic in 2019. Can I able to apply? Please reply me. I am now in class 12th can i apply this for 2019 exams. Yes, you can apply. The exam pattern is also given in the article.